Lowewood Museum is free to visit and open Wednesday to Friday 10am – 4pm and Saturday 10am – 5pm. Lowewood Museum tells the history of the borough of Broxbourne, capturing the unique stories of those who have lived and worked there. Housed in a beautiful Georgian building dating from the 1750s, their collection includes geology, archaeology, social history, costume, photography and art. Lowewood runs a fantastic programme of events and activities. Along with great exhibition and education programmes, the Museum hosts a number of special events during the year, as well as family activities, specialist study days, community events and much more. The site where the museum stands today has been occupied since the 1570s, when a house known as The Harvey’s stood there. Most of today’s building dates from the 1750s, and was built by a pharmacist called Hugh Hughes. In 1835 the house was bought by John Warner, a local Quaker and brass founder, and from then on was owned by the Warner family for over 100 years. In 1935 Lowewood was sold and bought by Mr Douglas Taylor. A year later, Taylor sold the property to the town council, to be used as a library and museum in memory of his late wife. 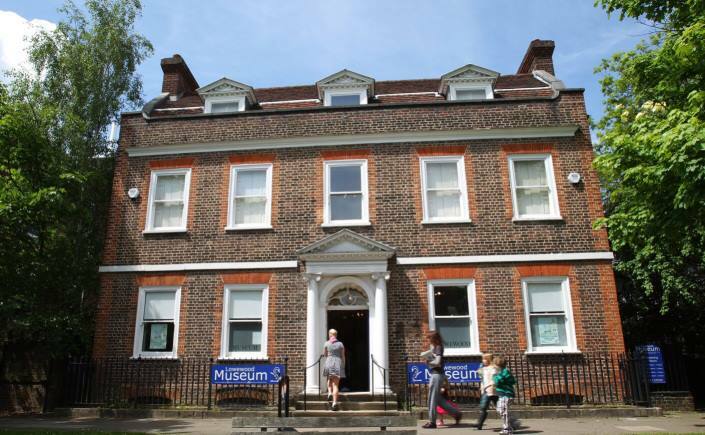 The library was transferred to a building in Hoddesdon’s High Street in the 1970s and the museum remains a much loved part of the local community, revealing the history of the Borough of Broxbourne from the earliest inhabitants to the present. Thank you for your message. There is step free access to the museum on the ground floor with an exhibition gallery and cafe area downstairs. Your scooter would be able to come into the reception and cafe area but unfortunately the rest of the museum isn’t step free at the moment but it is something we are looking into for future plans for the museum.